Madrid Basketball was established in 2004 and since then it has been the go-to place for expats and locals to shoot some hoops and have fun together in Madrid. 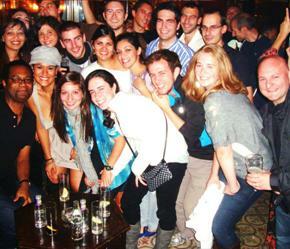 Madrid Basketball is more than just a basketball club, we also have an active social scene too! Night out in Madrid with the crew. So, the next time you are in Madrid or if you live here already, give us a shout and let’s shoot some hoops and have fun! I am new to madrid and am looking for a woman’s basketball team to play for ….. Do you have any contacts ? Please reach out on our Facebook or Meetup pages!